Alexis Sanchez has had a horrendous first year at Manchester United. The ex-Barcelona and Arsenal man has suddenly gone from being the best player at Arsenal to not even making the matchday squad in some matches this season. 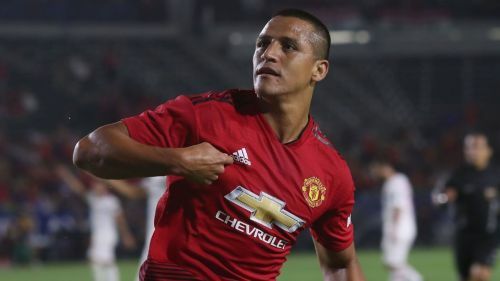 The arrival of a new manager gives a new slate to players already at the club, There is no player at Manchester United that needs the fresh start more than Sanchez. The Manchester United number seven has struggled for form and fitness all season. The poor form of some of his other teammates has not also helped his adaptation on the pitch. Mourinho's pragmatic and sometimes negative approach contributed to the poor form of Sanchez and other teammates. A change to a more attacking brand of football will benefit Alexis as more opportunities will come for him to score and gain confidence. Solskjaer was a striker at Manchester United for 11 years scoring 126 goals in 366 appearances. He understands more than anybody the pressure that a big player at the Old Trafford club is under. This know-how will be important in properly guiding the Chilean talisman and giving him much needed confidence for the rest of the season.